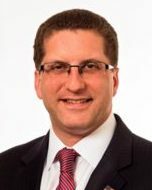 A Partner and Chair of the Family Law Practice at Cooper Levenson, Ronald Lieberman is a highly experienced attorney who understands the intricacies of matrimonial and family law. He appears regularly before the Family Court in Atlantic, Burlington, Camden, Cumberland, Gloucester, and Salem Counties and also practices before the Superior Court – Appellate Division. He has litigated on virtually all aspects of family law including property settlement agreements, equitable distribution, alimony, child support, custody, college expenses, and counsel fees. Ron is one of only 3% of attorneys in the state to be certified as a Matrimonial Law Attorney by the Supreme Court of New Jersey. Ron successfully completed the requirements for certification in matrimonial law as set forth by the Supreme Court of New Jersey. He also has been admitted as a Fellow of the American Academy of Matrimonial Lawyers, and is certified by the National Board of Trial Advocacy as a Family Law Trial Lawyer. In order to receive these designations, an attorney must demonstrate a substantial level of experience in matrimonial law, be favorably reviewed by other attorneys and judges, and pass rigorous examinations in matrimonial law covering a multitude of complex family law issues. The law firm of Cooper Levenson, P.A., established in 1957, is a full-service law firm with 75 attorneys and an extensive support staff. In New Jersey, we maintain offices in Atlantic City and Cherry Hill. We also have offices in Bear, Delaware, Las Vegas, Nevada, and Fort Lauderdale, Florida. We are proud to serve a client base that spans the region and the globe – from individuals to corporations and companies of all sizes and types, even sovereign governments. As a large, full-service firm, we have teams of attorneys that are able to focus their attention on numerous areas of practice while employing the full support, resources and experience of other departments of the firm. Learn more about our law firm’s mission, our foundation of community service, our history and our lawyers’ professional memberships.